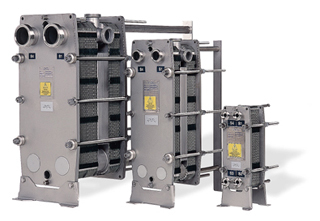 Alfa Laval provides the most complete and trusted range of Food and Beverage Gasketed Plate Heat Exchangers (GPHEs). 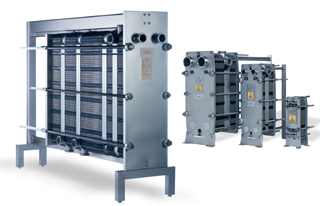 The FrontLine range from Alfa Laval represents the most advanced plate heat exchanger technology available for dairy, beverage and processed food applications. It provides the exact combination of temperature and holding time, ensuring precise pasteurization, UHT treatment and regeneration. Even the most delicate, heat sensitive food and beverages are safe. 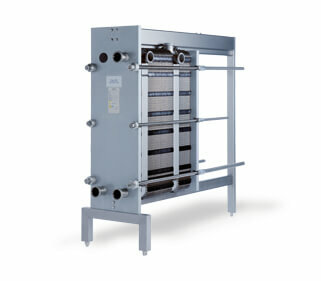 The BaseLine series is the standard heat transfer choice, from food and beverage, to dairy and other hygienic applications. The classic plate-and-frame design is easily adaptable for changing process requirements. All plates are designed to ensure the highest level of hygiene. 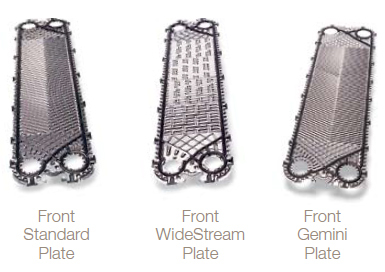 The long, narrow plate geometry and our patented flow distribution area eliminate dead spots – resulting in an extremely hygienic heat exchanger. The hygienic design also applies to our clip-on gaskets which are fully FDA and 3A compliant.